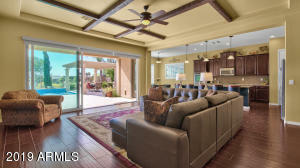 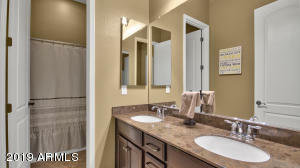 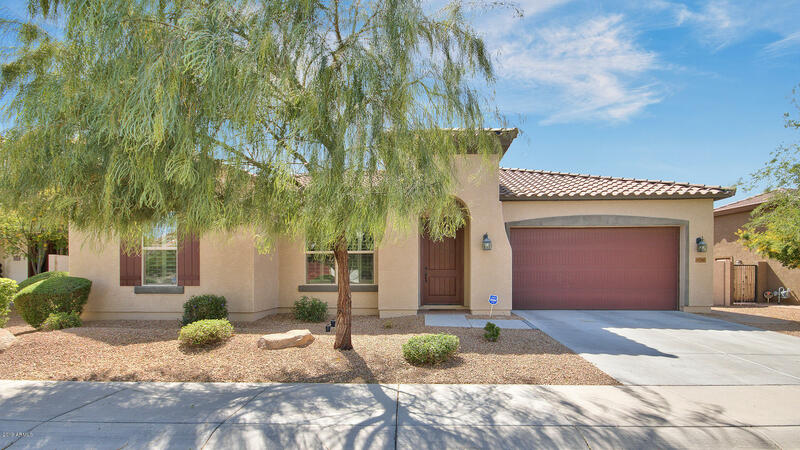 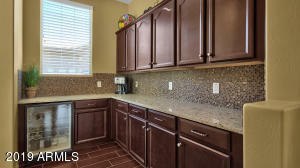 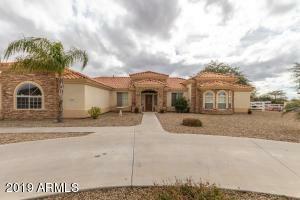 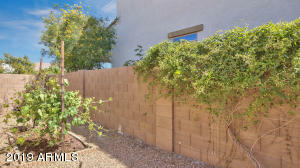 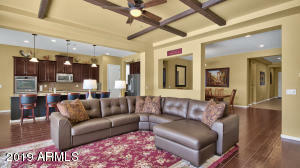 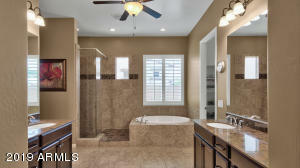 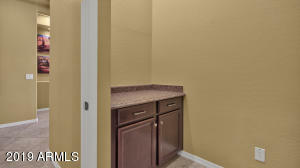 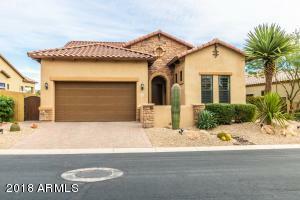 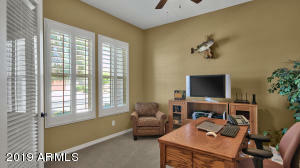 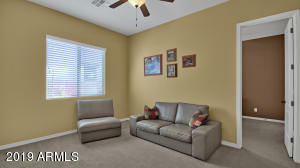 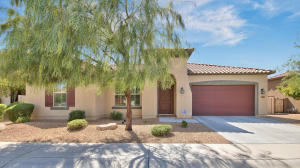 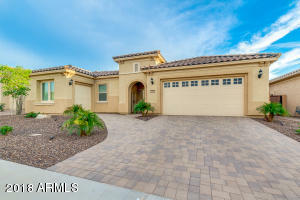 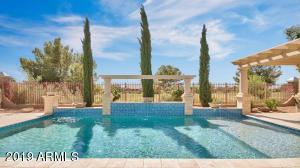 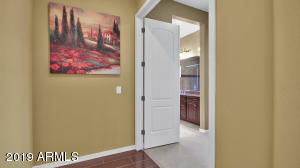 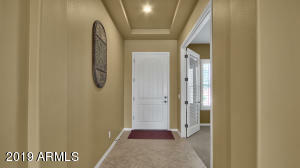 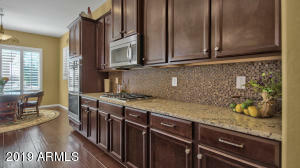 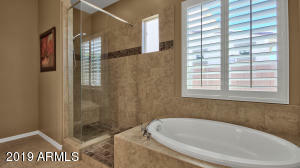 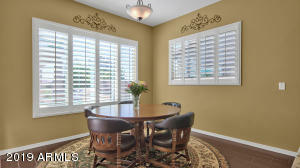 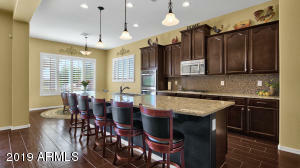 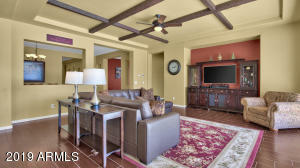 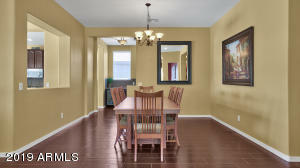 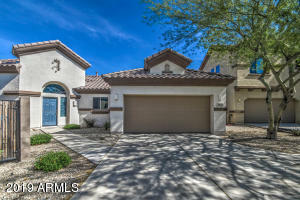 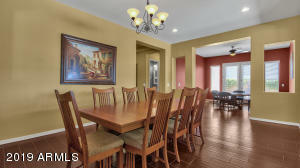 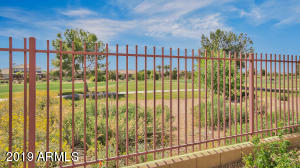 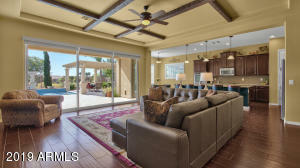 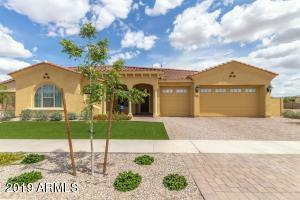 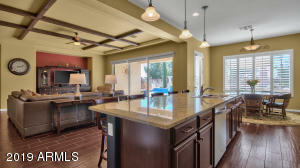 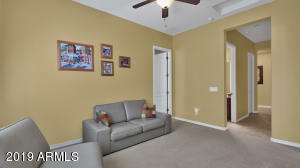 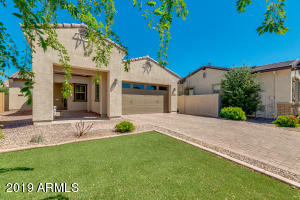 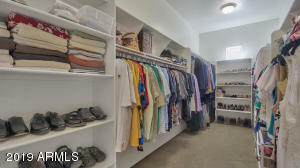 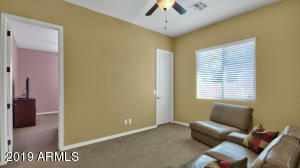 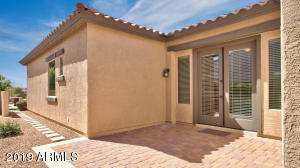 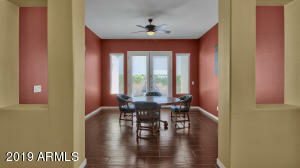 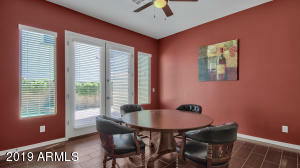 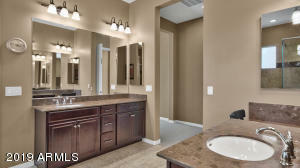 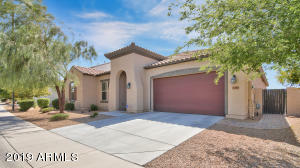 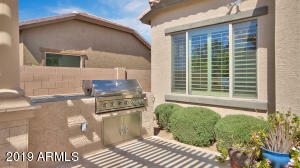 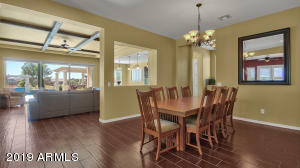 Stunning Seville 4 bedroom, 2.5 bath home including a flex room and a game room with its own private patio and fountain. 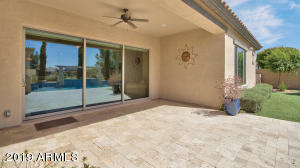 Enjoy your own backyard tropical oasis, an entertainer's delight. 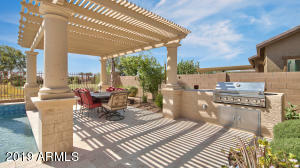 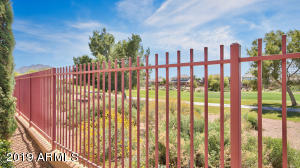 Complete with play pool with extra large baja step, tranquil water features, pergola and built in bbq, all while overlooking the 11th hole on Seville's prestigious golf course. 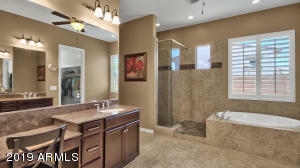 Recently installed whole home reverse osmosis and soft water systems. 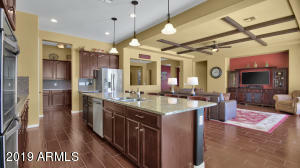 This expansive open floorplan features wood beam ceilings, butler's pantry with wine fridge, split bedroom concept, formal dining room, and gourmet kitchen. 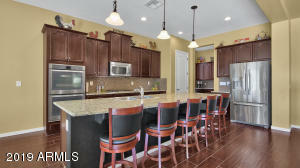 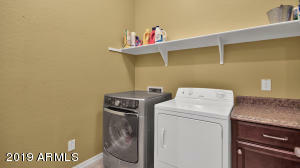 Kitchen is fabulously equipped with rich cabinetry, granite counters, double ovens, gas cooktop, large island for gatherings and stainless steel appliances. 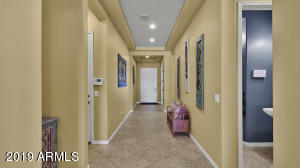 South to Seville Blvd, East (left) to Monet, East (left). 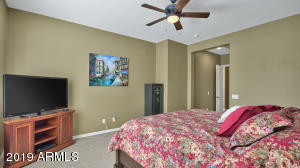 Monet becomes Jacqueline Way. 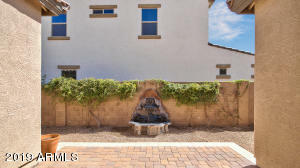 Enter through gate to 5th house on left.